Strip_tags function in php removes all html tags except the allowed tags from a given string. I did some Online search and could find a coupleof functions that were able to do this task. 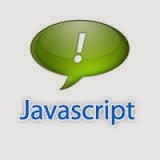 Here is another function which is able to remove all HTML tags . You can also specify allowed tags.